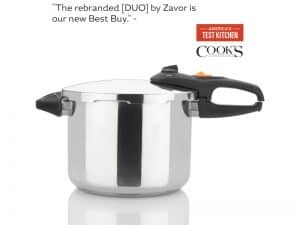 The Elite pressure cooker is Zavor’s Macy’s exclusive model. 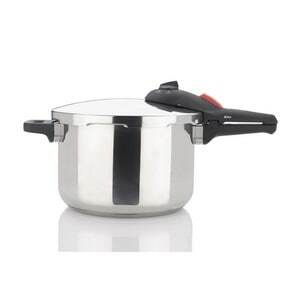 It is equipped with the standard pressure setting (High) and an automatic locking handle. 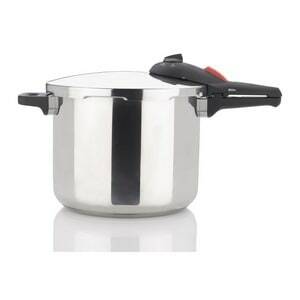 Also available as a set, the Elite is the perfect introductory pressure cooker. 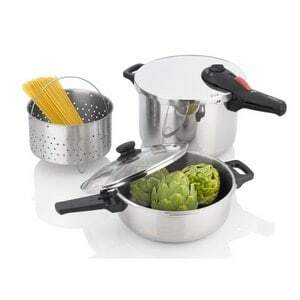 Picture having your favorite foods prepared in a fraction of the time it normally takes. 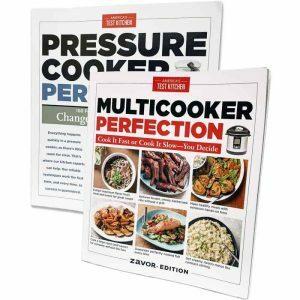 With a pressure cooker, that is a reality. 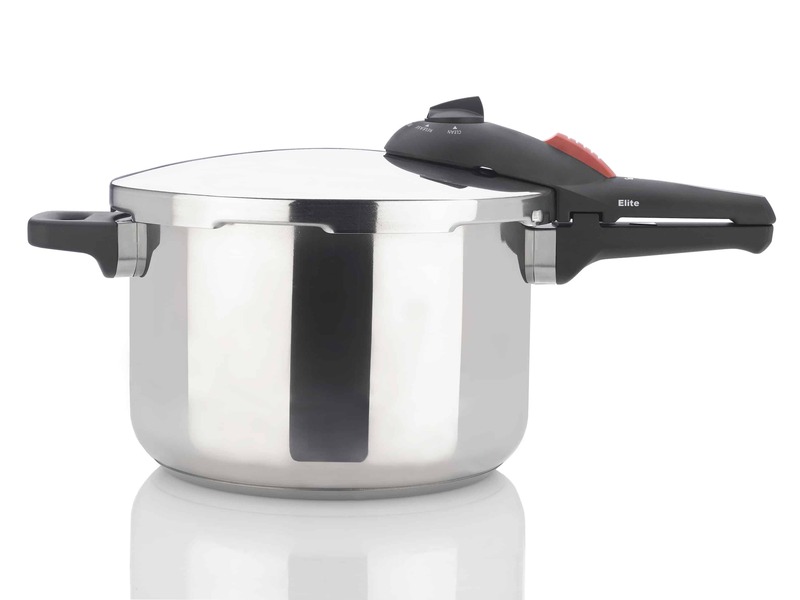 Pressure cookers provide superb cooking results in much less time and they retain food’s vitamins and nutrients. 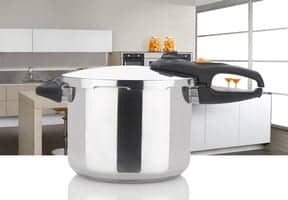 Pressure cookers aren’t just great for cooking legumes, they can handle almost anything! From pasta and ribs to soup and even cheesecake. 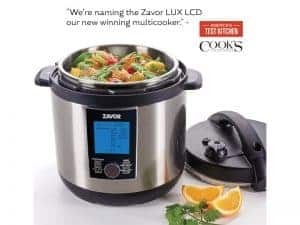 Pressure cookers help maintain food’s natural vitamins and nutrients while cooking 3x faster than other cooking methods, making them a culinary powerhouse. 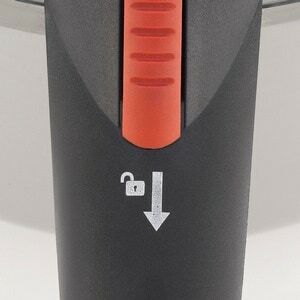 When there is pressure inside the pot, the automatic locking handle won’t allow the lid to be opened. 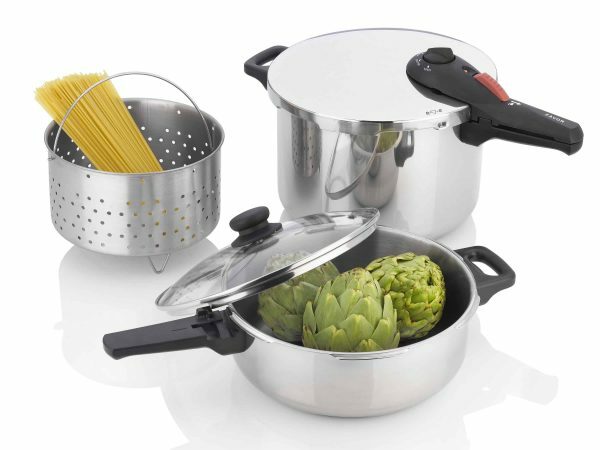 The silicone gasket keeps a tight seal on the lid, ensuring a completely safe cooking experience. 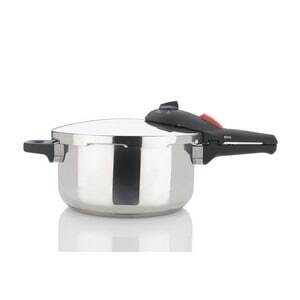 As simple as loading your ingredients into the pot, closing the lid and setting to pressure. 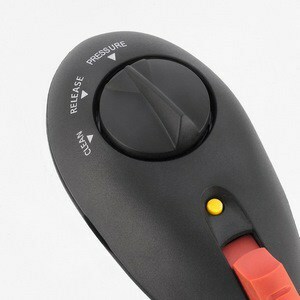 After the cooking time is up, just turn the knob to release the pressure. 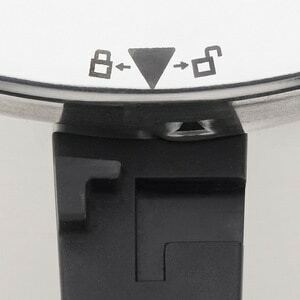 Pressure regulator with a HIGH pressure setting, a RELEASE setting and a CLEAN setting.